We Are Here to Serve ALL Your Real Estate Needs! 4:00 - 6: 00 p.m.
Gates Management & Realty and Interiors by Vickie McDaniel will have their ribbon cutting for their new location at 236 Orange Grove Street as well as celebrating Gates’ 25th anniversary in real estate and Vickie’s 30th year of design. All are invited to take a walk through, enjoy some refreshments and appetizers as well as hearing a wonderful jazz band from MarcMusic Studio featuring Yahyah Corbett on trumpet, Ben Hogue on Guitar, Dan Marcantonio on Bass and Zach Strum on drums. Come celebrate with us! Gates Management & Realty connects tenants and buyers with amazing places to live; assists owners in selling their home, land or commercial property; and assists property owners in wise, effective management of their investments. They manage an outstanding collection of rental homes as well as list and sell homes in Hillsborough, Chapel Hill, Mebane and other small towns touching Orange County, North Carolina. 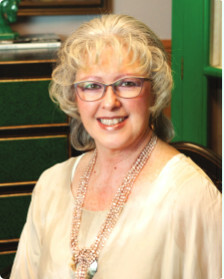 Vickie McDaniel is one of the best interior deisgners in Chapel Hill, Durham and Hillsborough. So if you're moving, downsizing your home, or just tired of the same old look we encourage yout o call Vickie for help - 919.644.1933. Her motto: LOVE where you LIVE. Ribbon cutting by the Hillsborough/Orange County Chamber of Commerce.